With the SYNC technology available through Ford, you are able to link your cell phone to your vehicle, allowing you to use thousands of voice commands to make your drive easier. When a phone call or text message comes in, SYNC will pause your music, let you know you have a call, and allow you to answer it hands-free. 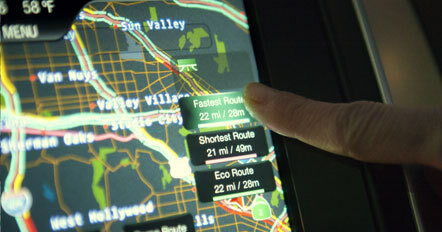 It will also read and reply to a text message with simple voice commands. Call out your favorite artist, song, or genre on your smartphone and SYNC will play it for you or have it tune into your favorite AM/FM station, SIRIUS station, or Pandora Radio station. If you’re stuck in traffic and you’re missing the Red Wings game, SYNC can get you the score of the game. SYNC will also help you get to wherever you need to go. Simply say, “I’m Hungry” and SYNC will provide a list of nearby restaurants. Coupled with SiriusXM Traffic and SiriusXM Travel Link, SYNC can even help you find the lowest local gas prices so you can save money on your next trip to the pump. Need auto service? Just say the words and SYNC will direct you to Brighton Ford’s Service Center or other repair centers and auto parts stores. Looking for somewhere to go on a Saturday night? With destination nightlife SYNC will provide you with a list of nearby restaurants, bars, nightclubs, such as Stouts Irish Pub and will give you turn-by-turn directions to get there. SYNC isn’t all play. 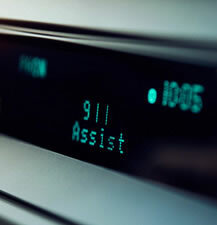 Driver Assistance enables SYNC to call 911 for you in a situation where you couldn’t get to your phone. SYNC can even generate a vehicle health report of your Ford to help you solve any automotive problems your vehicle may be experiencing. Want to learn more about the endless features SYNC has to offer? 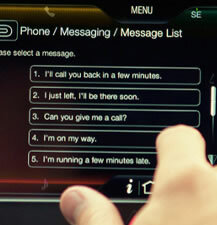 Visit Brighton Ford’s SYNC page to learn more.